I have seen camels made out of hand prints and decided to do a different spin on this project. We traced our hands on brown paper or you could use felt or sandpaper for texture. 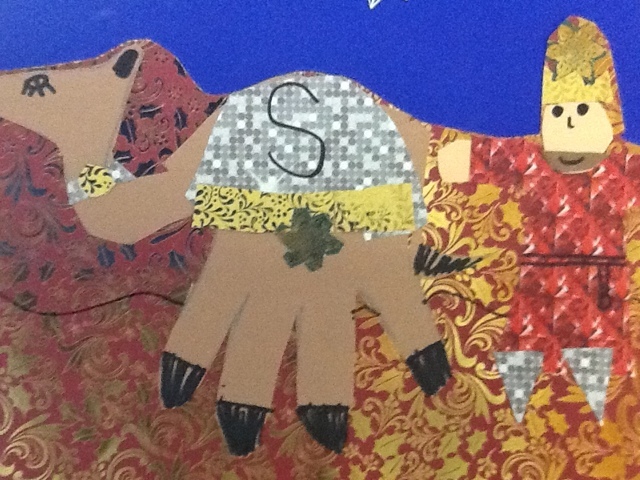 We embellished with scrap paper, buttons, sequins, etc, and then added on a magi made out of leftover Christmas paper.